Jovial Spondoodles: Chalkboard / Placemat tutorial. I saw a few of these on Etsy recently as I was buying laminated cotton for my seat covers and have been dying to have a go ever since! 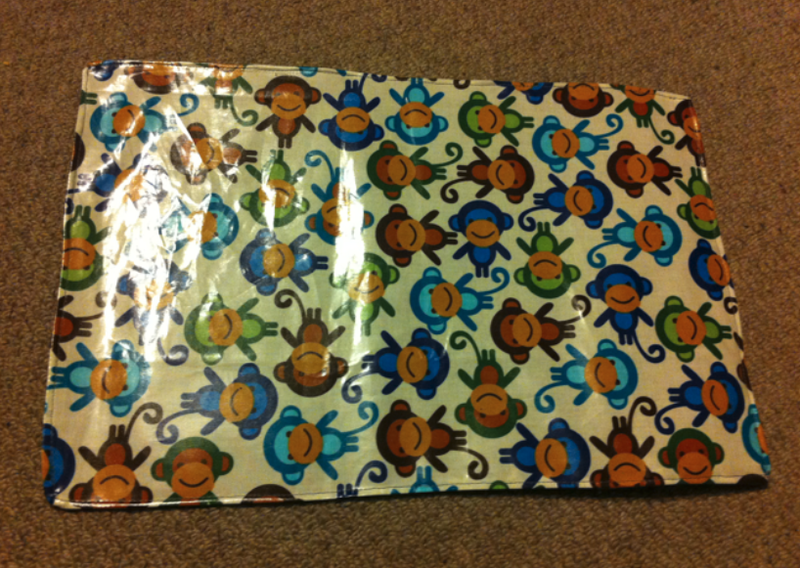 I cut a rectangle of laminated cotton (I love this Robert Kaufman cheeky monkeys design!) 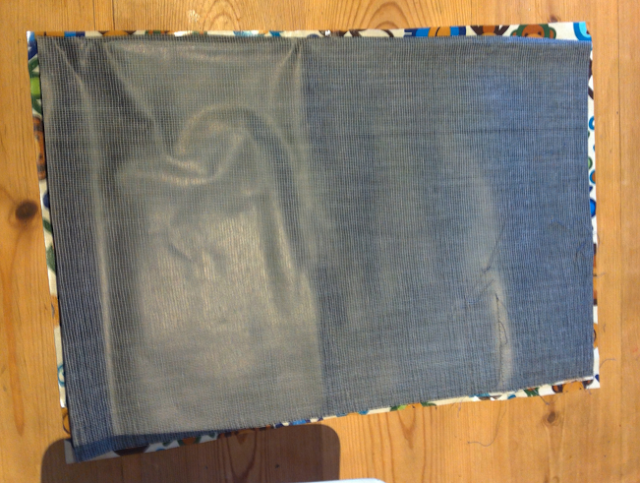 and a rectangle of chalk-cloth fabric both about 32cm X 46cm. 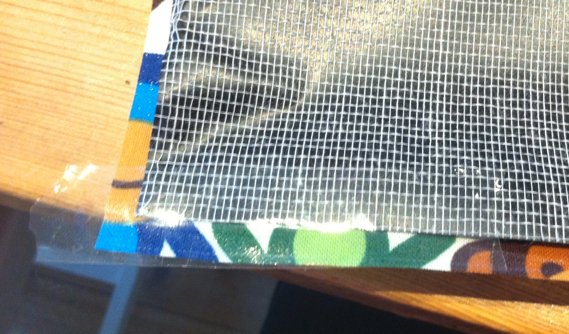 I also cut another small rectangle about 13cm X 9cm of the patterned laminated cotton. 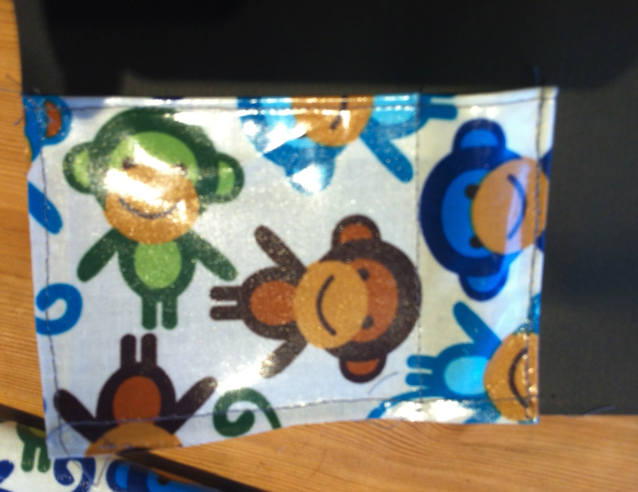 I placed the whole chalk-cloth right side down against the right side of the large Monkeys rectangle. 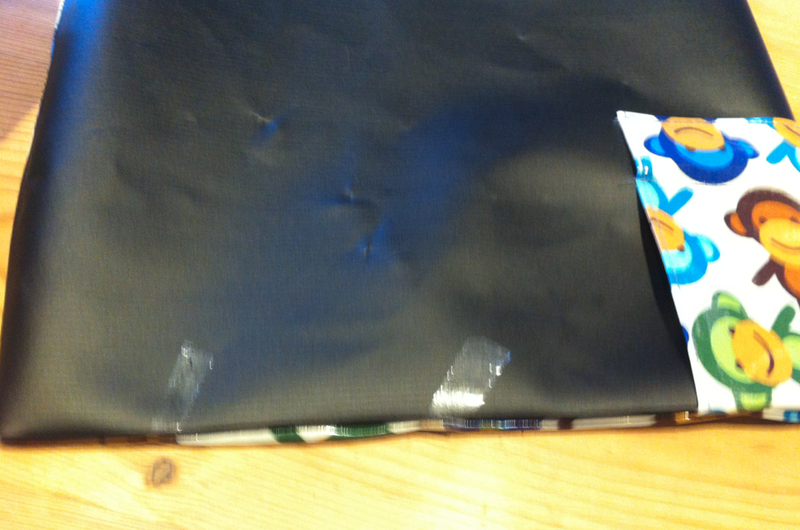 As pins were no good on this fabric I used sellotape! There's probably a better solution out there (Auntie Peggy will know I'm sure!) 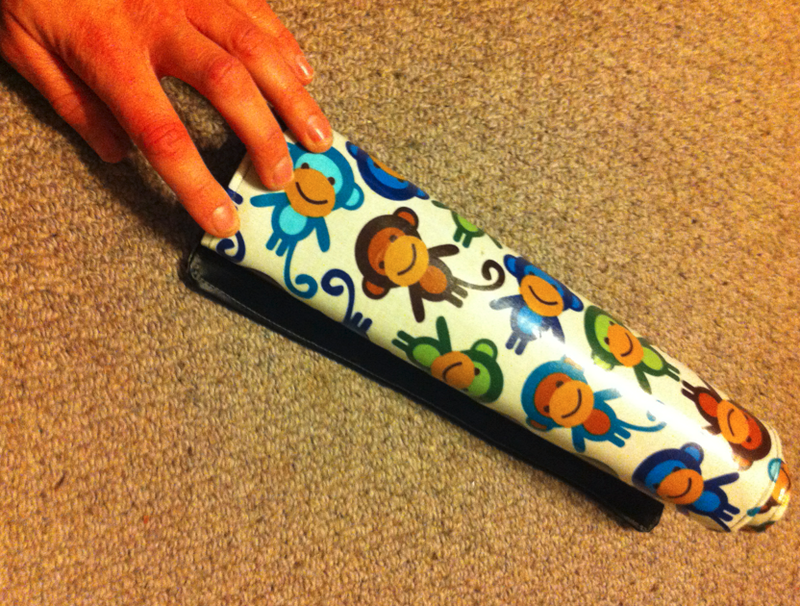 but as it was that was what I had handy and it seemed to work! 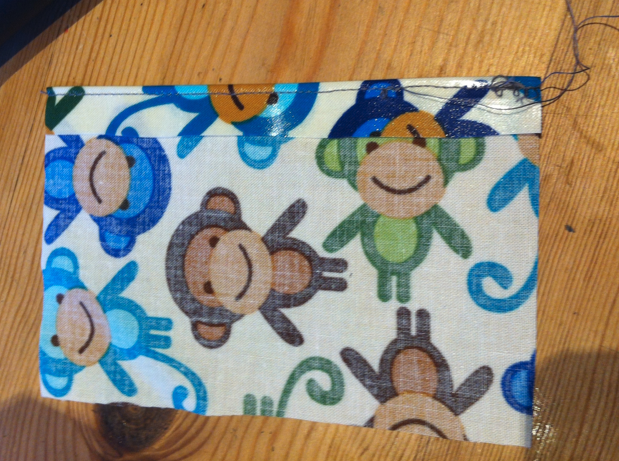 I sewed along 3 edges then trimmed the fabric close to the stitches. I used a long stitch at around 3 in length as I didn't want to perforate the fabric too much and risk tearing. I then turned it inside out. Before top stitching and sewing up the remaining side I again got out the sellotape! Confession: I actually ended up unpicking all my topstitching and re-starting it but this time with a walking foot on the sewing machine. 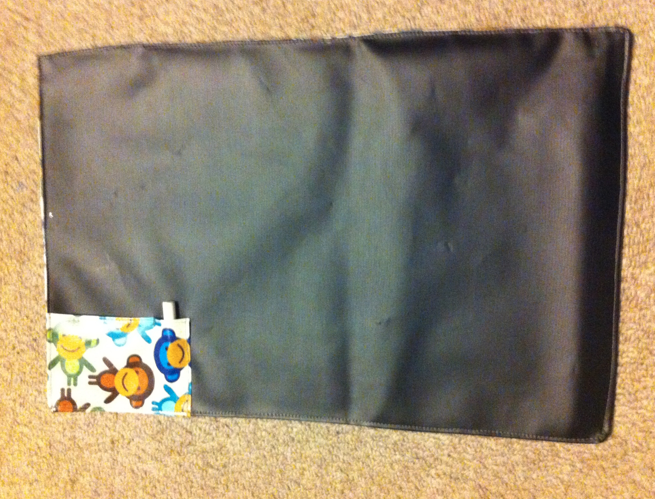 The regular foot stuck on the laminated cotton and ended up bunching the thread a little. The walking foot made a huge difference! 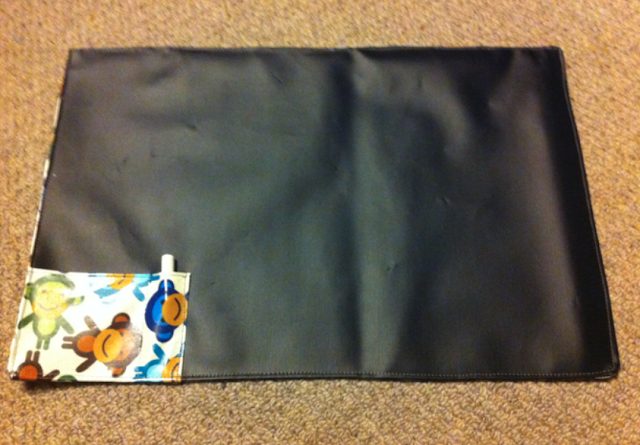 So here is the finished result - a chalkboard on one side complete with holder for chalk and pocket for wipe cloth. 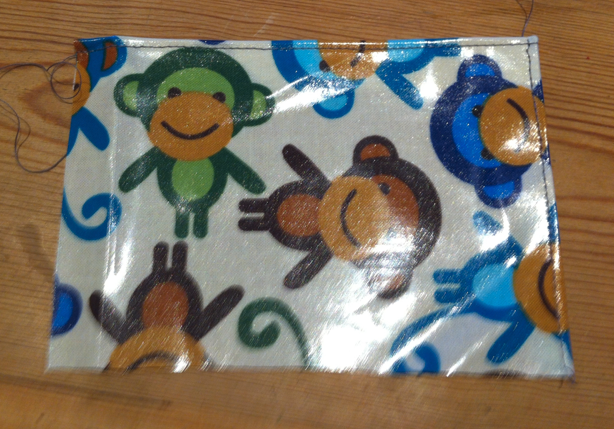 Then on the other side a handy and happy place-mat! It neatly rolls up for travel. I just need to suss out a way to fasten it in it's rolled state now - watch this space for an update! Thanks Hannah - will try that next time!